What is Dinner Last Night? Healthy meals don't have to be bland, take forever to prepare or require you to be a gourmet chef! Dinner Last Night is a collection of healthy meals inspired by the Nutrimost diet that I completed in 2015 and quick meals made with an electric pressure cooker! Whether you’re trying to find something to help keep you on track with your latest meal plan or need some inspiration when it comes to using that new Instant Pot that you received as a gift, you’ll find it here! Add broth, milk and ranch. Stir. This recipe is part of the "One Recipe a Week Challenge." Recipe originally posted by Tastes Better from Scratch. This recipe is part of the "One Recipe a Week Challenge." Recipe originally posted by On The Straight and Farro. Place wings on cooking sheet lined with foil and cooking spray. Place under oven broiler to crisp up wings. Remove after five minutes or when crisp to your liking. This recipe is part of the "One Recipe a Week Challenge." It is an original recipe. Add the chicken breasts and chicken broth to the Instant Pot. Close the pot and seal. Cook for 10 minutes at high pressure. When cooking cycle completes allow steam to release naturally for 10 minutes. Do not do a quick release with this recipe. Drain the leftover chicken broth and add chicken back to pot. Turn on sauté function. Add the buffalo sauce, cream cheese, yogurt, cheddar, chicken seasoning, salt, and pepper to the pot. Stir to combine all of the ingredients. Cook until cheese has melted. Serve on slider buns or for a healthier option on lettuce leaves. Top with bleu cheese and chopped onions. This recipe is part of the "One Recipe a Week Challenge." Recipe originally posted by Stay Snatched. 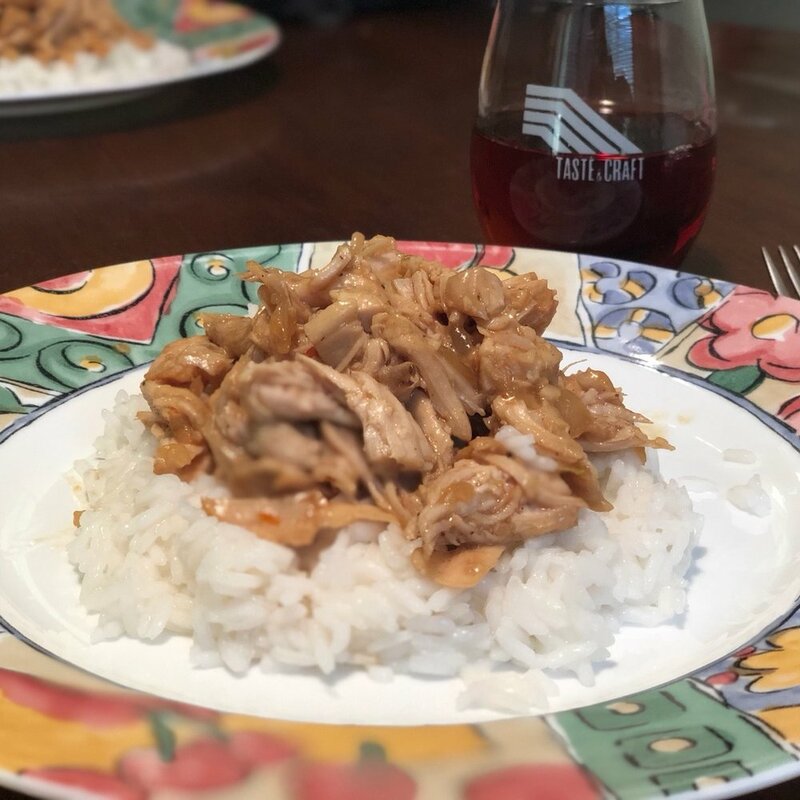 Cut chicken breast in half length ways and place halves in Instant Pot. In a small bowl whisk together all ingredients except the corn starch and water. Pour ingredients over the chicken. Cook for 5 minutes at high pressure. Perform a quick release. Take chicken out of pot and shred with forks. Turn the Instant Pot to saute mode and create a slurry with the corn starch and water. Pour the slurry into sauce left inside the pot and bring to a boil. Once the sauce thickens, add shredded chicken. This recipe is part of the "One Recipe a Week Challenge." Recipe originally posted by Chelsea's Choices.